There are about 100 people still in The Jungle homeless encampments, and Seattle Mayor Ed Murray says he won’t force them to go elsewhere. 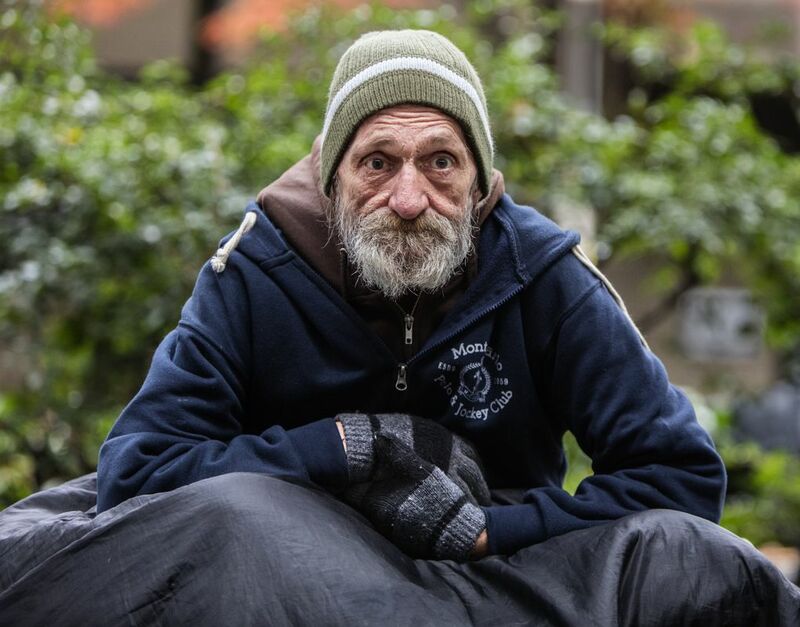 There are about 100 people still living in The Jungle homeless encampments under and along Interstate 5 in Seattle, and Mayor Ed Murray says he won’t evict them. His stance on the area also known as the East Duwamish Greenbelt has evolved since January, when he said the encampments should be completely shut down. 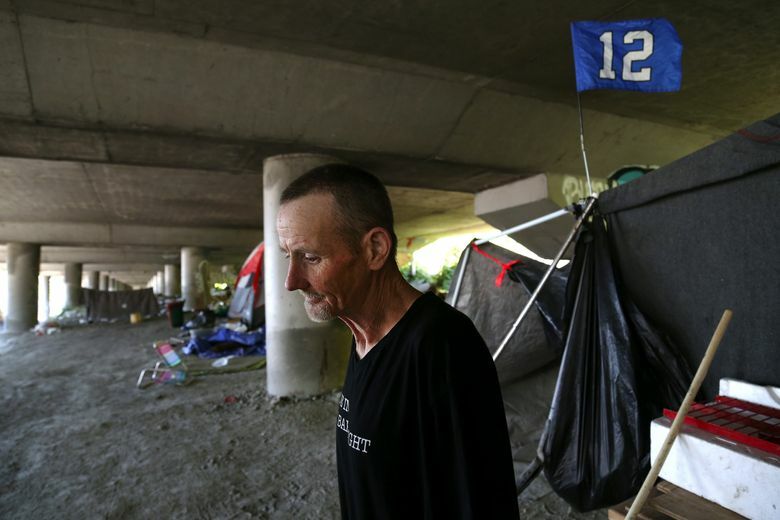 Officials say roughly 250 people have left the stretch between Sodo and Beacon Hill since mid-May, when Murray directed the Union Gospel Mission to do intensive outreach with the goal of emptying the encampments by offering shelter and services. Of the people who have departed, 64 have accepted offers of help, according to a new status report from the Seattle Human Services Department and the Mission. Meanwhile, 31 are newly living in or have returned to The Jungle. The Mission’s outreach team has spoken with 338 people overall, the report says. Those still living in The Jungle are people with significant barriers to accepting help, according to the report, which identifies addiction as the predominant one. About 90 percent of them are struggling with substance abuse, the report says. The report says the remaining campers are prepared to move and even “appear to be waiting for an official move date.” But those who want to continue living in The Jungle will be able to as long as they don’t get in the way of cleaning work, a spokesman for Murray said Tuesday. Some City Council members and advocates have argued a mass eviction without guaranteed housing would do more harm than good. The mayor’s spokesman, Jeff Reading, says some people may relocate from one part of The Jungle to another to make way for the cleanup, which will be carried out by Seattle Parks and Recreation and the Washington State Department of Transportation (WSDOT). “We’re still working toward an end-date later this summer to help folks relocate and allow the city to go in and clear trash and brush from the area,” Reading said. One of the people who makes that choice may be Darrell Sutton, a soft-spoken former roofer who camps a short walk from the Sodo methadone clinic where he receives treatment for his heroin addiction. Though the 52-year-old was relieved Tuesday to hear about Murray’s latest vow, the bags Sutton has packed in anticipation of eviction will stay packed for now. “I want to be ready if things change,” he said. Proximity to the clinic and a general comfort with his surroundings have made Sutton reluctant to relocate. “A lot of what you hear about The Jungle is bad, but if we just had things like Dumpsters and porta-potties, it would eliminate a lot of problems,” Sutton said. Murray has recalibrated his approach to The Jungle over time. His call in January for the long-troubled encampments to be closed down came shortly after a shooting there that left two people dead and three others injured. In February, the results of a Seattle Fire Department-led assessment ordered by Murray and Gov. Jay Inslee identified health, safety and environmental risks, including open sewers, human waste and hazardous materials. The mayor and governor responded to the findings last month, unveiling a coordinated plan to transition campers out of The Jungle, then clean up the stretch and improve access for maintenance crews, emergency responders and police. Initially, officials said the outreach would last about two weeks. But some campers, council members and other critics immediately blasted the timeline as unrealistic. Murray subsequently conceded that a longer outreach period would be needed and said it might be impossible to “get everybody out forever.”’ And he agreed to a council resolution drawn up by Councilmember Sally Bagshaw that put some constraints on his ability to remove campers. He accepted Bagshaw’s resolution grudgingly, after threatening to hold up police work in a tense text message exchange with Bagshaw that went public. On Tuesday, Reading said Murray’s goal has always been the same — to address risks under and around I-5. But the spokesman said the mayor’s attitude now reflects more personal experience with The Jungle. The Mission’s president, Jeff Lilley, has said the idea of an impending deadline has been helpful in motivating some campers to accept assistance. When asked Tuesday, Reading didn’t say whether people who’ve built semi-permanent structures would be allowed to remain. Last month, WSDOT said it planned to start work in early June. But June is almost over, and the agency has yet to begin. “We’re not doing anything until we get a green light from the city,” spokesman Travis Phelps said.